One of four people missing in an underground West Virginia coal mine has emerged and officials are sending more search teams to find the others. A statement from Gov. Jim Justice on Tuesday says the person who emerged from the mine gave search crews information about their whereabouts. The state Office of Miner's Health, Safety and Training said it began assisting the Raleigh County Sheriff's Office in the search on Sunday after an ATV the four were believed to be riding was found near the mine entrance. The search is at Elk Run Coal Co.'s Rock House Powellton Mine, near Clear Creek. 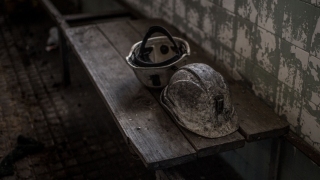 Justice said early Tuesday that two four-man rescue teams would enter the mine, which hasn't mined coal for two years. NBC affiliate WSAZ-TV reports that a man was able to escape the mine and told rescuers the others were in a pocket of good air, but it's 1,000 feet deeper than rescuers have gone.